UPDATE – click this Troon page link to see the new camera. 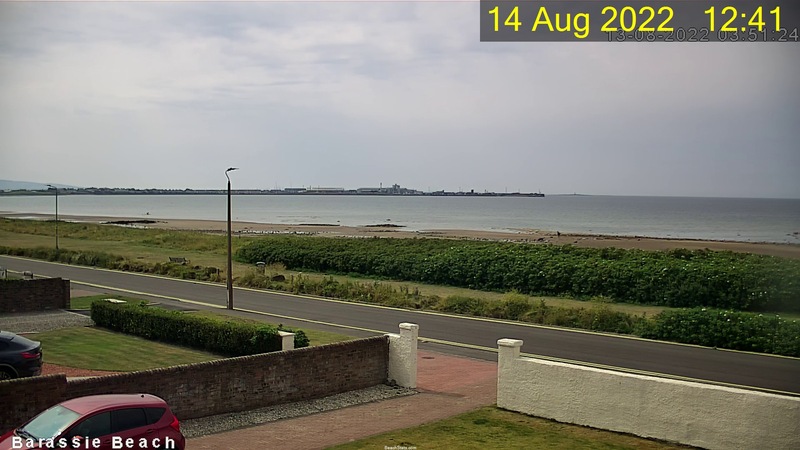 Webcam pointing at Troon harbour. The camera is facing South West. Depending on the weather Ailsa Craig can sometimes be seen beyond the harbour. Lady Isle can be seen to the right of the harbour and you can sometimes see the lighthouse flash at night. The windspeed shows the average wind speed in the last 10 minutes and the highest gust in the past 24 hours. The barometer is an interesting graph to look at and compare with the other charts (wind speed, temperature and rain). If you have a look on the How to read the weather page you’ll find out more information. This section contains some useful links. Sky Monster Kite Surfing School. Troon harbour has a lifeboat crew which could be handy: but is no excuse for taking risks.